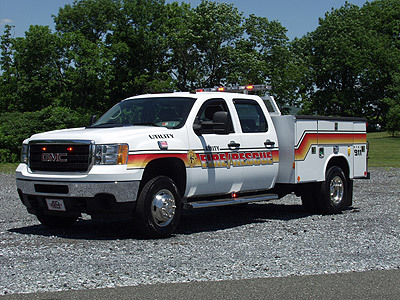 Utility 49 is a 2G12 GMC Sierra 3500HS 4-door diesel with a Reading utility body that will run various calls such as fluids down, trees down, pump jobs, and most of all medical assists to the various ambulance companies that cover the township. Utility 49 is equipped with a Hurst combination tool and stabilization devices. Utility 49 carries all vital BLS medical equipment and is AED equipped.